But ultimately it was one more successful tour. It took whole lot of perseverance to travel all the way from Bangalore to Pune in train. The journey started with buying playing cards and unexpectedly train was late for one hour. Pune trip was totally like UPA alliance 4 guys from started from Bangalore, 5 amigos started from Hyderabad, 1 from Mumbai and 1more in Pune itself. Day -1: As planned we all reached at different timings. But freshed up very soon as always. We had booked TT well in advance for 2 days. 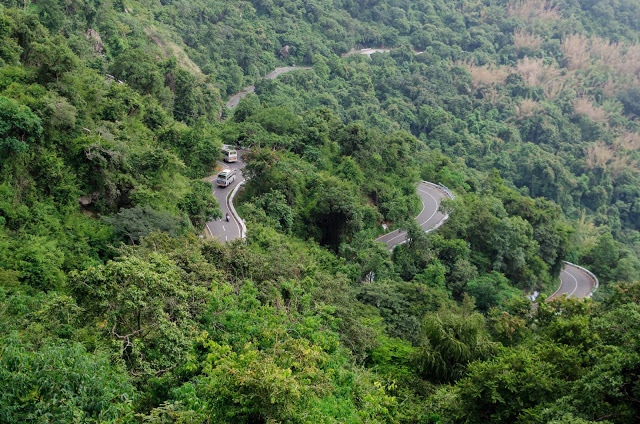 The first destination is MATHERAN. The National Highway safar was really awesome with Hills, Rocks, Kamshet Tunnels and even good weather. 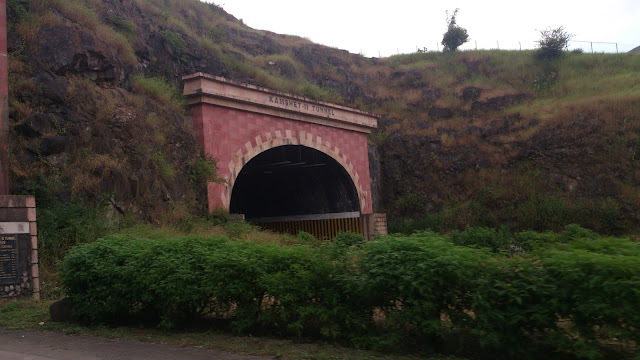 Via Lonavala we reached matheran basement. The road was very narrow from the basement so we was forced to take a rented Car. It costed Rs.60 per/head. After that we had 3 option to reach matheran Horse ride, Toy train,Walking. All of us choose to walk by taking aid of kooli for luggage carrying. As we were heading we were having pitstop for rest as well as for clicks. Since it was an extended weekend it was crowded and almost all hotels were full! Luckily we got a cottage but not so good. Few had some issues but no other go. We couldn’t go anywhere 1st day as it was dark and no power and it was drizzling! We freshen up and went for dinner and walk as well! Day2: Matheran is very calm and quiet, cold, But definitely its not honeymoon destination. Personally speaking I dint find anything more special in matheran except a ropeway which we dint get chance. There were many places to see but we decided to see only few which we thought it is good to visit! Soon after visiting places we headed towards Murud Kashid almost 3.30 we reached plan was to see a fort in the middle of the sea but we were in the shore People who have gone there just before us gave a bad feedback so we dint turn up. Because it would have taken 2 hours totally to and fro. So returned back to kashid beach and had a very good time in the beach. We had booked a homestay in OMKAR LODGE. The rooms were very good Must say hospitality was tremendous whatever needed they had provided us with very good manner. Night we had dinner in good at decent hotel. Since we had to get up very early morning and head to River Rafting which 3 hrs away from the place we stayed. The day ended very soon. Day-3: The excitement, expectation, creepy was too much about Kundalika White Water River Rafting, since it was first time ever we all were trying for River Rafting. 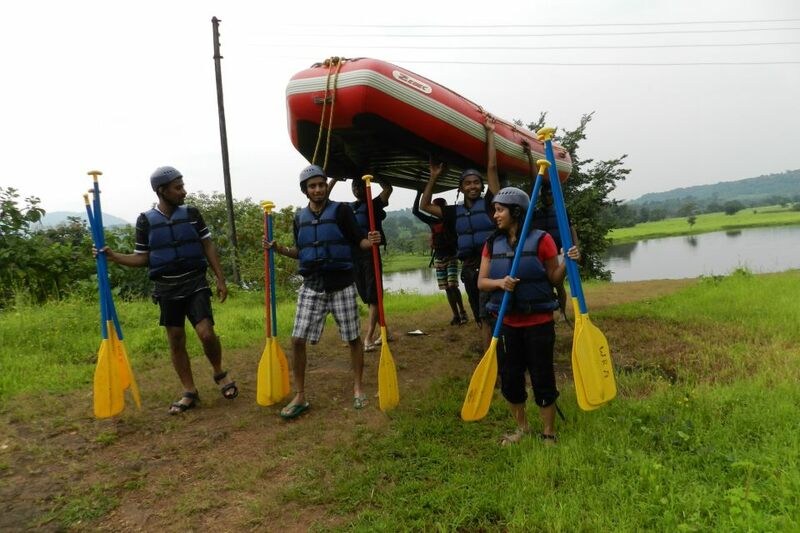 Let the adrenaline rush with the increasing rapids at the white water rafting, Our Batch was first to come to the base of river rafting. River was very calm and our raft moved slowly. All of us were quietly enjoying the calmness of river and beautiful valleys around Kundalika except me who was shivering and my teeth were creating small noise for me like stain gun. Sitting side and behind watching each and every moment of water was an experience to count. We crossed few rapids and then our guides allowed us to jump off the raft.The rafting ended unexpectedly at a strange place. But we thoroughly enjoyed this experience. Since it was a package we had a very good lunch in Pooja Resorts. We had to rush because it was drizzling and we had to go for Kayaking, River Crossing, Zip Line. Heading back to Pune in a hurry fashion since we had not booked hotels for staying.I wish such trips come again and again wherein I overcame the fear, encountered new things and above all I made new friends. Day-4: Day started very late as usual as it was a planned rest day and Pune darshan as well for some time. Visted Dagadusheth Halwai Ganapati temple and Chaturshringi Temple in the 1st half and Initial 2nd half and Packed our bags from lodge and went straight away to bus stand to board a bus to Bangalore. The journey ended in the morning 6.30 AM at Bangalore. I really appreciate your effort and sharing for this amazing articles. This is very helpful for me.